Apple views autonomous driving systems as a “core technology” for the future, chief executive Tim Cook said in an interview aired Tuesday. 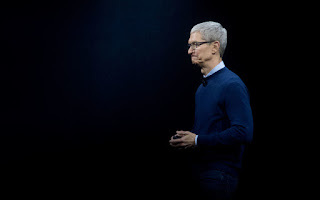 Cook told Bloomberg television that Apple wants to move into the automotive sector because “there is a major disruption looming” from new technologies. The auto sector, Cook said, is being transformed by artificial intelligence and autonomous driving technology as well as by the development of better electric cars and the growth of ridesharing. “We are focusing on autonomous systems,” he told Bloomberg. While Apple has given no indication of specific projects for autonomous vehicles, it has joined the list of companies with permits to test self-driving cars in California, according to state records. The California-based tech giant is expected to focus on software systems, letting partners manufacture vehicles, but would understandably want to be able to test its navigation technology in cars.